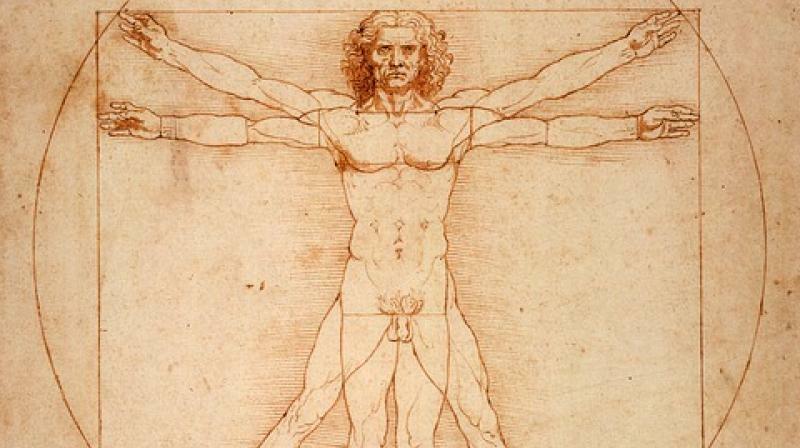 Florence study proves artist Leonardo da Vinci was left-handed. Milan: An in-depth study of Leonardo da Vinci’s earliest-known drawing has proved that the great Renaissance artist was ambidextrous, Italy’s Uffizi Gallery said recently. The scientific and technological analysis also revealed a hidden, previously unknown landscape sketch, also by Leonardo, on the back of the original work. “It is a real revolution in the field of Leonardo studies,” said Uffizi director, Eike Schmidt. The findings were announced a month ahead of the 500th anniversary of the death of Leonardo, with museums around Europe organising exhibitions and events to celebrate the life of the man responsible for such masterpieces as Mona Lisa. His first-known drawing is dated Aug. 5, 1473 — when Leonardo was 21 — and shows a landscape of the Arno river valley and Montelupo Castle, just outside Florence. Commonly known as ‘Landscape 8P’ from its inventory number, the work has words on the front going from right to left, as Leonardo often used to write, which gives the date. On the back, the brief script goes from left to right and alludes to an informal contract. A study of the two texts confirmed they were both written by Leonardo and showed he was able to write perfectly using both his left and right hand. “Leonardo was born left-handed, but was taught to write with his right hand from a very young age,” said art historian Cecilia Frosinini. “By looking at his writings, including from this drawing, one can see his right-handed calligraphy is educated and well done.” Using infrared light, the art experts also discovered two different layers of drawing, both on the back and front, with an ink line covering the original charcoal trace in certain places.